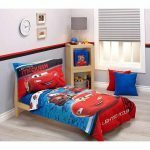 This 4 piece bedroom set is perfect for a toddler’s bed; they will go to sleep easier when it is decorated with their favorite Cars characters. Your child will go to bed dreaming of exciting car races and best friends with Lighning McQueen and Tow Mater on their bedding! Purchase this 4 piece bedroom set for their Cars themed room. It comes with sheets, comforter, and 1 pillow case. 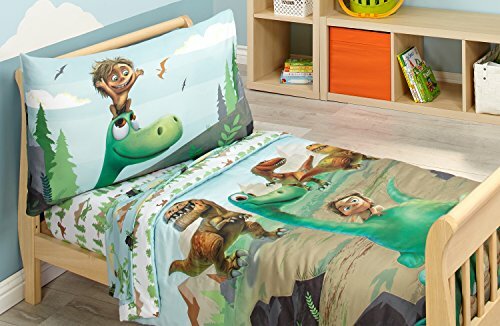 The Good Dinosaur 4 piece Toddler Bed Set includes a comforter, fitted sheet, flat sheet, and one fun pillow case based off Disney’s popular movie. Your child will love this thoughtful gift, and fall asleep happy every night. Does your child love Madagascar? 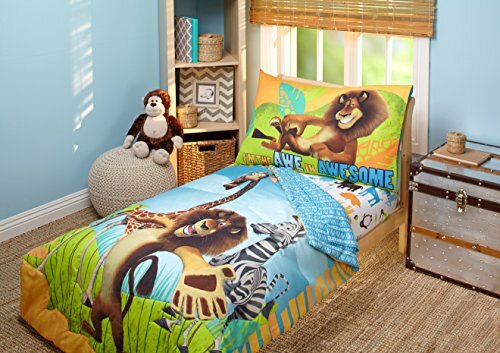 Then they will love this bed set. Get all four pieces for an affordable price; your child will love it more than the movie! $54.00 (as of July 24, 2017, 12:15 pm)	& FREE Shipping. Details $28.84 Buy this Bedding Set!